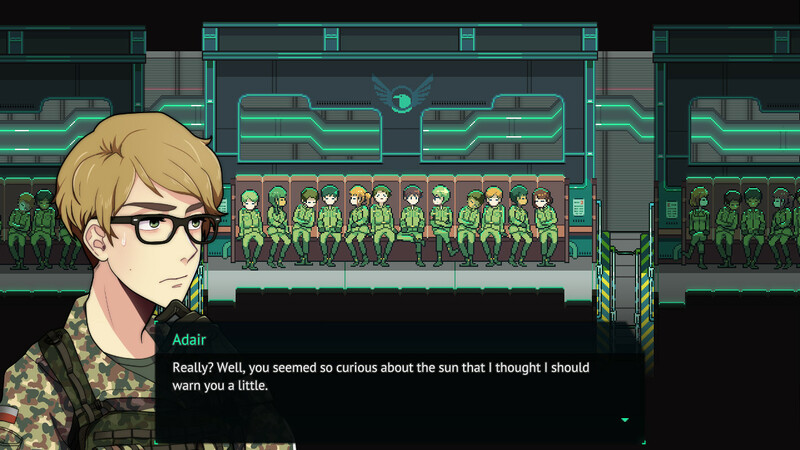 Long Gone Days is another example of why gaming genres are weird, touting itself as an anime-inspired 2D modern-day character-driven JRPG with elements from visual novels and shooters. It kinda sounds like a genre shopping list, and it kind of is, but as you can probably already tell, this is really a game about story. 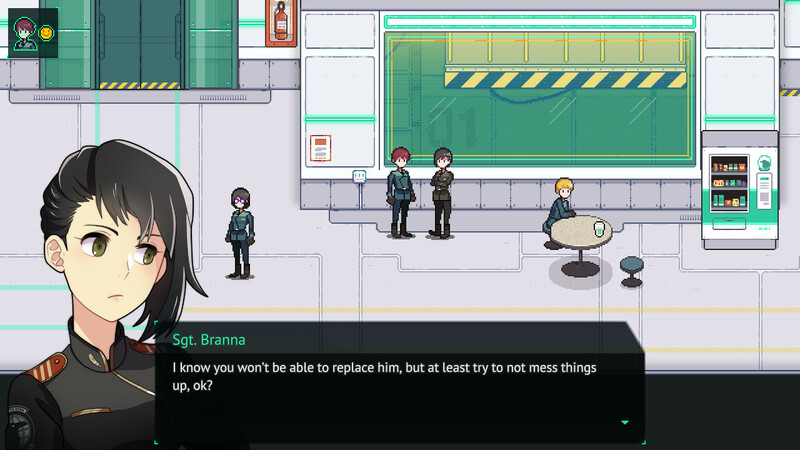 Long Gone Days wants you to understand people’s circumstances. Set in modern times, it follows Rourke, a soldier who grows up underground having never seen the surface. Raised by a military theocracy that’s actually a private military company manipulating other countries, he is told to do things you and I would consider atrocities. Can these really be crimes when the people responsible aren’t raised to know any better? Can they be held accountable? Long Gone Days is interesting not so much for how the victims are portrayed, but how the perpetrators are. I’ve spent most of my time with the game so far running away from said organisation, and feeling somewhat empathetic towards the NPCs trying to kill me, because like my character, they don’t know any better. I’m now taking shelter in a city I was meant to attack, from an army I was only recently a part of. Everyone’s trying to get out of the city, but the ferry can only take so many. This delay allows me to tackle the game’s side content: find medicine for a sick boy, locate a lost grandma or lost girl. So yeah, there is some ‘go-fetch’, but the point is to give this city a face that just before didn’t have one. The reward for completing a task is an item or morale, the game’s version of mana. It’s beneficial to store rather than spend morale, because if a character reaches peak levels of self-esteem, all their attacks become critical ones. Sometimes you get into a bind though, and you’ve gotta spend a little morale to do things like heal your team. If you use all of a party member’s morale, their stats are lowered until they cheer up again. You’ll go through more text boxes than you will enemy soldiers. I’ve put four hours into this supposedly short adventure, and encounters have been scarce. When they do occur, they’re scripted, turn-based fights without the attack animations and presentation Square Enix has spoiled us with. Typical JRPG mechanics have been adapted to the dystopian setting: because everybody has guns, you can aim for different parts of the body, risking a shot at higher damage areas for a higher chance of missing. Battles are often long, and because of their relative simplicity, I quickly became disinterested whenever I had to fight. Alongside a bevy of side activities and several sniping segments, they’re really a framing device to break up long stretches of story. The story is the main reason I’m still playing. There’s a certain anticipation of something happening, because the game doesn’t entirely explain everything that’s going on or where everything is heading. The wait mirrors the fate of Rourke, trapped in the city, awaiting an inevitable attack. 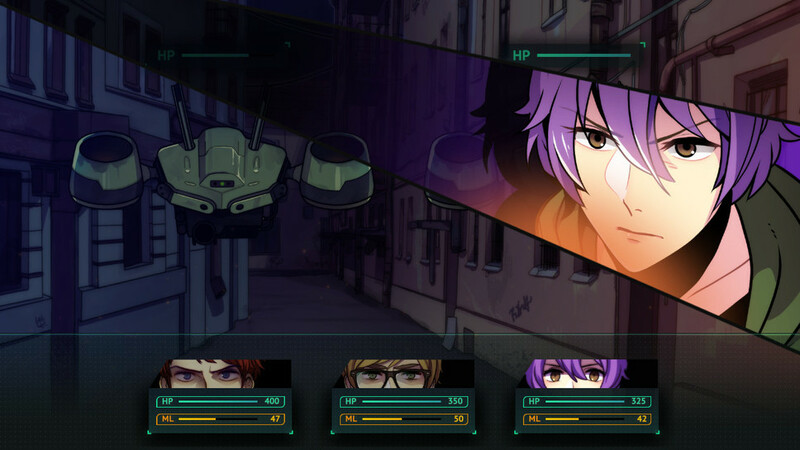 So far, Long Gone Days feels like the full experience of a JRPG condensed into a smaller game. It’s almost equally as ambitious in both ideas and features, causing an overabundance of some things it probably didn’t need considering the size. There are plenty of things to do – probably too many for a story which goes at a strangely relaxing pace considering the urgency of its circumstances. This is an anti-war tale with atmosphere and a brave point-of-view. The subtext isn’t subtle, and almost always finds its way to the foreground, but if you can accept some heavy-handed narrative, you might find something a bit different to enjoy. Also there’s pixel art, the easiest way to make any game cool. 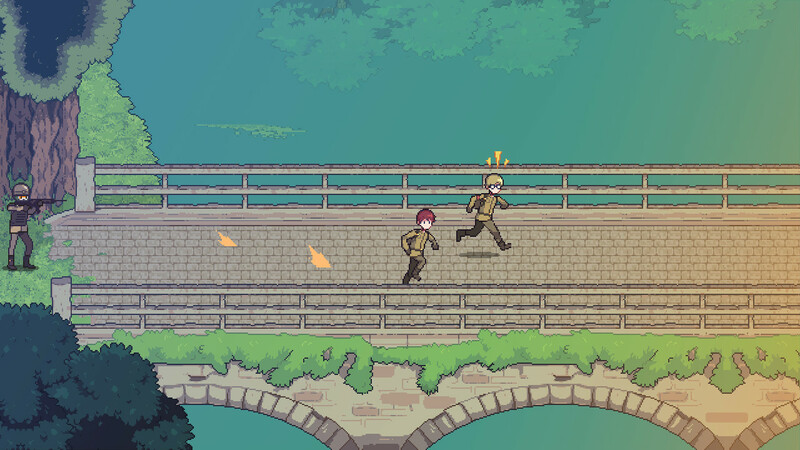 ◆ Long Gone Days is available now via Steam Early Access.